The traditional Māori system of environmental guardianship is Kaitiakitanga. Kaitiakitanga reflects the notion that people are the ‘offspring’ of nature and we are responsible to our ancestors and descendants to protect the natural environment which is our ‘kin’. A kaitiaki is a guardian and kaitiakitanga means guardianship, protection or preservation. 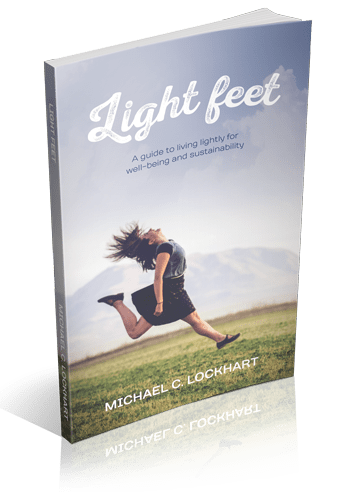 It is a way of managing the environment, based on the traditional Māori world-view. It encompasses many concepts and practices of environmental sustainability such as putting restrictions (rāhui) on the unsustainable exploitation of resources such as birds or seafood. By implementing kaitiakitanga Māori protect the natural environment for their decendants which also allows Māori to feel they are meeting the expectations and hopes of their ancestors. Māori traditionally believe there is a deep kinship between humans and the natural world. People are not superior to the natural order; they are part of it. All life is connected and to understand the world, one must understand the connections and relationships within it. A kaitiaki is a person or group that is recognised as a guardian by the tangata whenua (tribal group with authority in a particular area) and is responsible for looking after something – a lake or a forest, for example. Kaitiakitanga also applies to valued items like family heirlooms such as korowai (cloaks), mere pounamu (greenstone clubs) and books about whakapapa (genealogy). Kaitiakitanga is being rediscovered and explored. Tribal groups are working to respond to environmental problems, and to renew their own knowledge, culture and experience. Māori communities are reconstructing and expressing traditional knowledge in their tribal areas. They are restoring both environmental areas and tribal knowledge of those places. Kaitiakitanga theory and practice responds to a number of current issues and challenges and allows Māori to feel they are meeting the expectations and hopes of their ancestors. The practice of Kaitiakitanga allows Māori and non-Māori alike to reflect on the notion of kinship with nature, and how this idea might be useful in an environmentally threatened world. 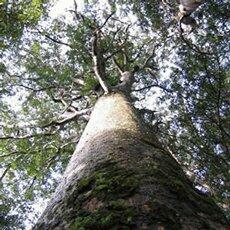 The native Kauri is one of the largest species of tree in the world and can live for over 2,000 years. Māori consider the Kauri to be the kings of New Zealand’s forest. The straight-grained wood was prized by European settlers as spars for sailing ships and became popular in construction. With logging, large areas of native forest soon dwindled. Today the patches that remain are being carefully protected, and the forest is being restored.